Conference Series LLC Ltd invites everyone to the conference “Advances in Gastroenterology and Hepatology” to be held from October 21-22, 2019 at Melbourne, Australia. Conference Series LLC Ltd Organizes 3000+ Global Events with over 600+ Conferences, 1200+ Symposiums and 1200+ Workshops on MediPharmaharma, Engineering, Science, Technology and Business. 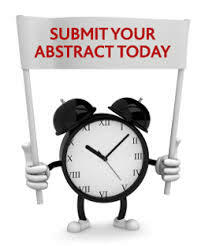 Asian Gastro2019 offers a cutting edge program of renowned international speakers, specialist concurrent sessions, short paper and poster presentations attracting experts in all the various fields of Gastroenterology and Hepatology. This conference has been carefully designed to meet the unique educational needs of physicians and medical practitioners. In addition to cutting-edge presentations and debates, this year agenda provides you with an opportunity to participate in organize a workshop. Gastroenterology is the branch of medicine focused on digestive system and its disorders. Hepatology is the study of Liver, gall bladder, biliary tree and pancreas and its disorders. This is the best chance for all the doctors as well as scientific researchers and students to find out the new techniques in Gastroenterology and Hepatology and find out the different ways of treatments to be given to the patients affected with Hepatitis. So don’t miss the opportunity and be a part of it as the new era begins. The liver is body’s largest internal organ on the right hand side of the belly. Liver is an essential organ that has many functions in the human body and including making proteins and blood clotting factors, manufacturing triglycerides and cholesterol, glycogen synthesis and bile production. The liver also filters the blood coming from the digestive tract and detoxifies the chemicals and metabolizes the vitamins, proteins, fats, carbohydrates and drugs and it secrets the bile that ends up back in the intestine. 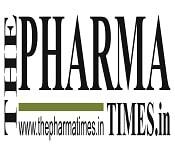 The journal present up-to-date coverage of basic and clinical researches on molecular and cell biology, pathophysiology, epidermal, diagnosis, and treatment of the various diseases of the liver and biliary tract, B viral hepatitis and hepatocellular carcinoma are the common liver diseases in Asian-pacific region. Idiosyncratic drug induced liver injury (Dili) is a rare adverse druid reaction and it can lead to jaundice, liver failure, or even death. In the Western world Antimicrobials and herbal and dietary supplements are among the most common therapeutic classes to cause DILI. Liver fibrosis is the excessive accumulation of extra cellular proteins collagen that occurs in most types of chronic liver diseases. An inflammatory condition of the liver is Hepatitis. It’s commonly caused by a viral infection,there are other possible causes of hepatitis. These include auto immune hepatitis and hepatitis that occurs as a secondary result of medications, drugs, toxins, and alcohol. When your body makes antibodies against your liver tissue Autoimmune hepatitis occurs. Viral infections of the liver that are classified include hepatitis A, B, C, D, and E. Taking a sample of tissue from your liver is an invasive procedure called liver biopsy which allows your doctor to determine how infection or inflammation has affected your liver. In the early treatment of autoimmune hepatitis corticosteroids, like prednisone or budesonide, are extremely important. Inflammation of the liver characterized by diffuse or patchy necrosis is Hepatitis . Auto immune hepatitis (AIH) is one exception. When your immune system attacks your liver cells this type of liver disease occurs. AIH is chronic condition that can result in cirrhosis (scarring) of the liver.. Auto immune hepatitis likely results from a combination of auto immunity, environmental triggers, and a genetic predisposition. It occurs more frequently in females. Treatment includes corticosteroids and medications that suppress the immune system. Liver transplant may be needed In severe cases). Liver is not inflamed in ischemic hepatitis. Rather, liver cell death occurs. The term hepatitis is used because technically, it refers to any disorder in which liver enzymes called amino transferase leak from damaged liver cells into the blood. Liver is the most important key player in your body's digestive system. Everything passes through it whatever you eat or drink, including medicine. You need to treat it right so that it can stay healthy and do its job. Eat healthy diet and get regular exercise so that you'll keep your weight under control, which helps in preventing nonalcoholic fatty liver disease (NAFLD), a condition that leads to cirrhosis. Watch out for certain medicines, Some Cholesterol drugs which can occasionally have a side effect that causes liver problems. Alcoholic beverages can create many health problems and they can damage or destroy liver cells and scar your liver. Neuro-gastroenterology encircles the study of brain, the gut and their interactions in relevance to the consideration and management of gastrointestinal motility and functional gastro intestinal disorders. Neuro-gastroenterology is associated with complex motility and sensory disorders of the gastrointestinal tract. These conditions include: dysphagia related to ineffective esophageal motility, gastroesophageal reflux, cyclic vomiting syndrome, gastroparesis Hirschsprung’s disease, intestinal pseudo-obstruction slow transit constipation and pelvic outlet disorders related to constipation. An important aspect of the function of gastrointestinal tract system is immune reaction of the gastrointestinal tract to the external stimulus or the failure to respond. The current development in terms of research area is gastrointestinal disorders. The latest developments in organ transplantation of the gut and liver and HIV infection of the gut, and the recently discovered disease H. pylori gastritis are the immune abnormalities in scientific progress in the area of gut immune system . The major cause of peptic ulcer disease and gastric cancer peptic ulcer disease and gastric cancer is Helicobacter pylori (H. pylori). No signs and symptoms are found with H. pylori infection in most of the people. Diagnosis can be done using blood test, breath test, stool test, scope test. Proton pump inhibitors, Histamine (H-2) blockers, Bismuth subsalicylate are used for the treatment. Gastro-intestinal toxic effects such as ulceration, hemorrhage, perforation and death are increased Non-steroidal anti-inflammatory drugs (NSAIDs) are among the most widely used drugs and their widespread use is associated with increased. In the prophylaxis of acid aspiration during elective surgery One of the advance treatment in Digestive diseases by using of Lansoprazole . Liver inflammation due to a viral infection is viral hepatitis. In acute (recent infection, relatively rapid onset) or chronic forms it may be present. The most common causes of viral hepatitis are the five unrelated hepatotropic virus hepatitis A, hepatitis B, hepatitis C, hepatitis D, and hepatitis E. In addition to the nominal hepatitis viruses, other viruses which can also cause liver inflammation includes cytomegalovirus, Epstein-Barr virus, and yellow fever. 52 cases of viral hepatitis caused by herpes simplex virus until 1997. To prevent or treat the most common types we have an opportunity. By vaccination Hepatitis A and hepatitis B can be prevented. Effective treatments for hepatitis C are available but it is expensive. Digestive cancers can have wide-ranging effects on our nutritional status, health and quality of life. It shows the symptoms of swelling, internal bleeding, acute pains, inability to digest, difficulty in swallowing or chronic constipation or acute diarrhea. The diagnosis often requires endoscopy, pursued by biopsy of suspicious tissue and the treatment depends on the location of the tumor, as well as the type of cancer cell and whether it has invaded other tissues or spread elsewhere, these factors also determine the prognosis. Esophageal cancer is the sixth-most-common cancer in the world, and its incidence is increasing day by day. Gastrointestinal Pathology is sub discipline of surgical Pathology. It deals with the analysis and exposure of non-neoplastic and neoplastic diseases of the digestive tract and accessory organs, such as the liver and pancreas. Though pathology diagnosis is a critical determinant of future cancer risk and screening interval, many of these diagnoses do not result in significant mortality or morbidity for patients; thus, errors may be "masked" by the limited effect in the present context to the patient. Gastrointestinal surgery is divided into lower GI surgery and upper GI surgery. Upper GI Surgery includes surgery for gastro-esophageal reflux, Gall bladder disease, Hernias, other benign esophageal and gastric disorders, other benign pancreatic and hepatobiliary disorders. Lower gastrointestinal surgery includes surgery of the small intestine and colorectal surgery. Laparoscope is a fiber-optic gadget that transmits pictures from internal part of the body to a video screen when it is embedded in the stomach divider. Gastrointestinal Radiology or GI Imaging employs a shape of the real-time x-ray called fluoroscopy. A barium-based differentiate fabric to create pictures of the, throat, digestive tract, stomach and other parts of stomach related framework. It is secure, non-invasive, and may be habituated to profit precisely, analyze torment, corrosive reflux, blood in the stool & other side effects. The major gastrointestinal transplantations are of liver, esophagus , pancreas, little digestive system, and colon till now. The transplantation is a major surgery, and so it has to be under observatory and post-transplantation. Most of the times, the complications emerge after the operation, where the body begins dismissing the joint or the organ. The complications can be analyzed through hematological or imaging tests. Liver transplantation is a surgery to evacuate the infected or harmed liver and transplant it with an entirety modern solid liver or a fragment of the liver from a healthy individual, who is called as a donor. Individuals with inveterate or intense liver disappointment experience a liver transplant to survive. This study analyses various therapeutic options currently on the market as well as potential products and classes of products that are likely to have a significant impact on the future for the prescription as well as the over-the-counter (OTC) gastrointestinal drug markets. The gastrointestinal market is one of the key therapeutic areas most significantly affected by the generic erosion of block-busters. 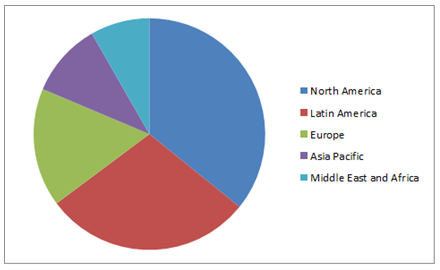 According to Market research the Global Gastrointestinal Drugs Market Revenue by Region in 2016, North America was the highest by getting the revenue of 17,288 US Dollar Million, while the Middle East and Africa Continent was having least generation of revenue. 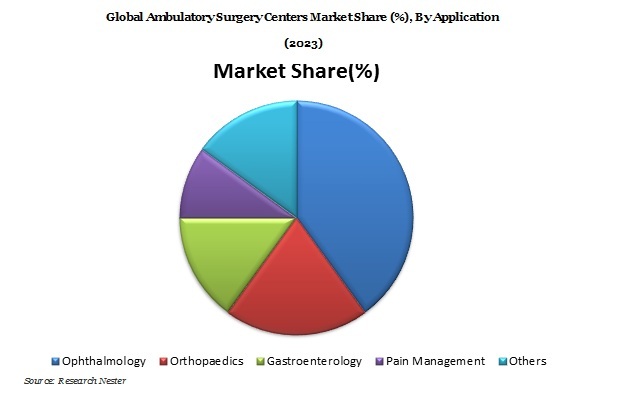 The North America ambulatory surgery center market is anticipated to witness significant growth rate in future due to the enough outpatient surgery centers and government regulations governing the preference for outpatient surgery centers in order to expand the reach of medical facilities. The demand for ambulatory surgery center is high in Europe and Asia Pacific owing to the government initiatives to overcome the shortage of medical facilities in remote areas of developing countries such as India and China. We gratefully thank all our wonderful Speakers, Conference Attendees, Students, and Media Partners for making GI Diseases 2018 Conference the best ever! The 15th International Conference on Digestive Disorders and Gastroenterology, hosted by the Conferenceseries.com was held during July 11-12, 2018 Sydney, Australia based on the theme “Advancing Gastroenterology in the Multidisciplinary Management of Digestive Diseases". Benevolent response and active participation was received from the Organizing Committee Members along with Scientists, Researchers, Students and leaders from various fields of Gastroenterology and Digestive disorders, who made this event a grand success. Conferenceseries.com expresses its gratitude to the conference Keynote, namely Dr. Higinio T Mappala for giving the valuable keynote for the conference. We are indebted by your presence. Last but not the least Conference Series LLC wishes to acknowledge with its deep sincere gratitude to all the supporters from the Editorial Board Members of our Open Access Journals and special thanks to the Exhibitor (EnterosoZ) for their promotion to make this event a huge success. 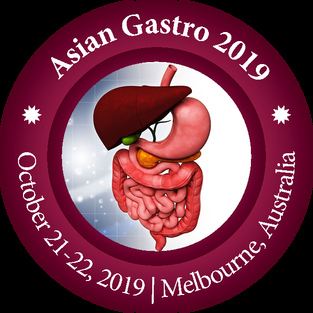 Honorable guests and Speakers who supported for the success of this event with sustainable excitement for grand success of this prominent conference it is glad to announce next annual meeting Asian Gastro 2019, October21-22, 2019 in Melbourne, Australia. We hope your favorable support will make next annual also one more grand success event.